Dittrich Machine Services is a full-service machine shop with capabilities ranging from simple repair and maintenance jobs to complex custom fabrication. Since 2003, Dittrich Machine has been providing our Customers with an efficient and reliable turnaround on all their machining needs. 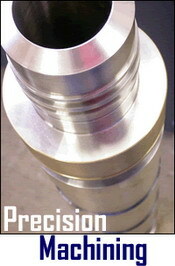 Our certified Journeyman Machinists and other skilled personnel are committed to delivering high quality workmanship. Regardless of the application, DMS works with each Client in order to meet their specific needs. Contact Us today for a Free Quote or call our Red Deer office at (403) 314-9590.